You are currently browsing the archives for the tag 'SOLEIL BRONZER Smoothing Protective Milk-Mist'. 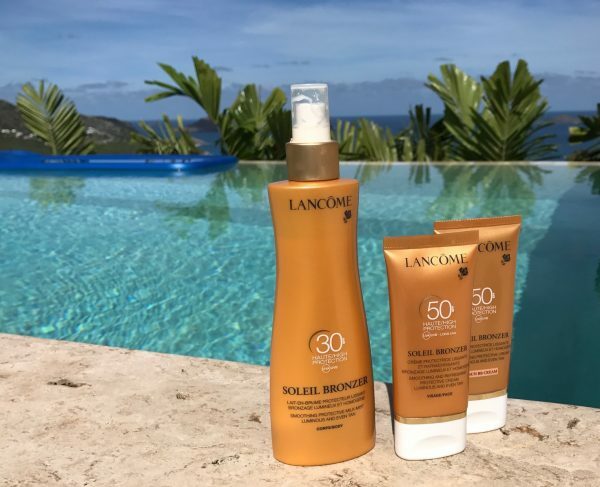 Protecting your skin from the sun is essential but finding the right products can be tough. I like to use the highest protection possible, but don’t want to have a white veil all over my body. 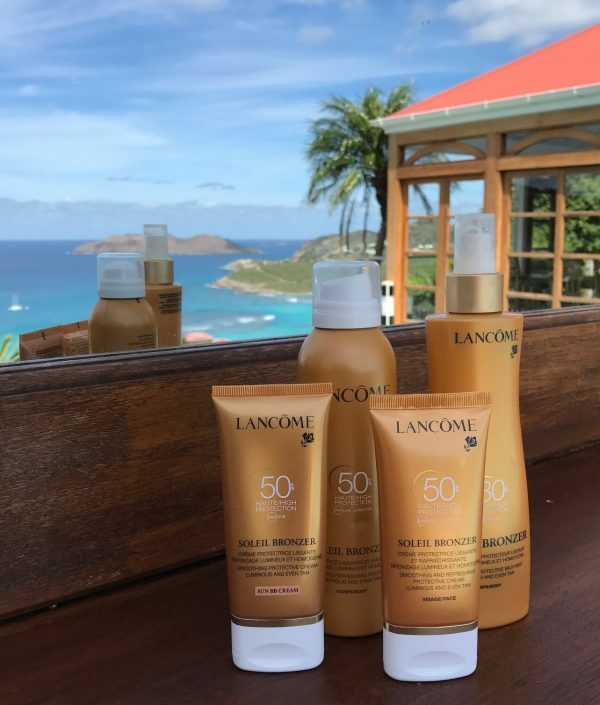 Last time, I was in the Caribbean I took four products from the LANCÔME SOLEIL BRONZER line with me and they have all absolutely convinced me! They truly help you to achieve a beautiful and healthy tan. Immediately thanks to the performance of its lightweight melting and delicately perfumed formula, skin is enveloped with a protective film. Water-resistant. The precious oil trilogy prevents skin from premature aging. Lightweight, non-sticky water-resistant formula boasting a dry-touch finish. The skin is optimally nourished, smoothed and protected. 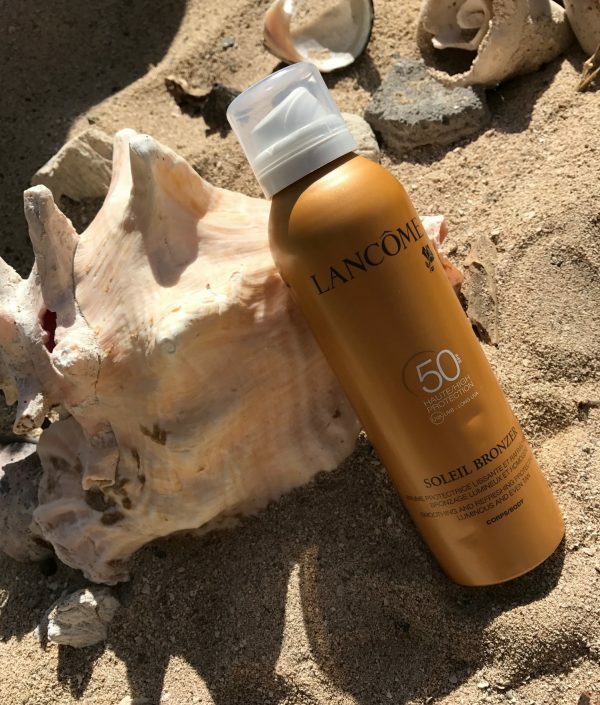 It is the best SPF 50 sun protection I have ever used! 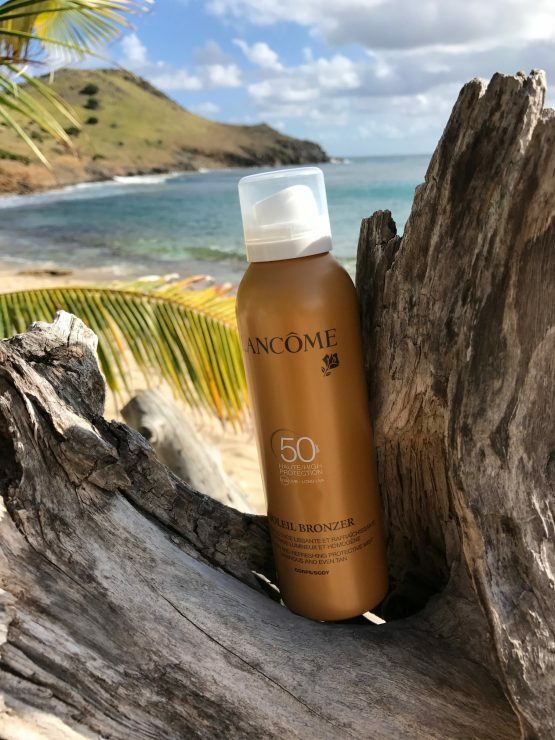 Its water-resistant formula can be applied so easily due to its ultra-fine mist, leaving the skin smoothed, refreshed and instantly protected. After its application, your skin already reveals a mysterious radiant glow, an exceptional light.